Lovers of Historical Fiction take heed of this book regarding the fall of the Berlin wall and how childhood trauma can weigh heavy as an adult. 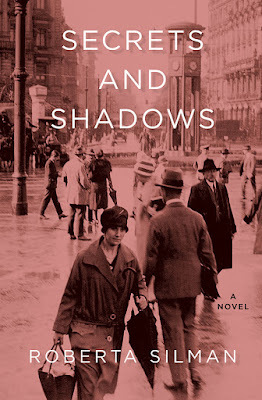 Secrets and Shadows: A Novel by Roberta Silman is a beautiful, provocative and haunting work about the long-term effects of World War II on a marriage. Early critics say the book is remarkably astute ... deftly plotted ... fierce... with superbly crafted portraits of time and place. An interest in history informs all of Roberta’s work. Secrets & Shadows was inspired by a German immigrant who was sent behind enemy lines as a U.S. spy. His mission was to provide intel and rescue Jews. This man said he found only one intact family, a couple with two children. Thus began the genesis for her novel. Roberta began researching, she travelled to Germany, and she learned that 1,700 Jews survived the Holocaust by hiding in Berlin. When the Berlin Wall comes down in 1989 Paul Bertram (born Paul Berger) realizes he has to confront his past. A huge success as a New York lawyer, Paul has not been so successful in his marriage. He and his American-born wife Eve have been divorced for almost five years, yet it is she to whom he turns to when he decides to return to Berlin. She finally agrees and we witness them maneuvering through Berlin as Paul narrates the traumas of his past that he had never been able to share before. Written as a fugue, Secrets and Shadows explores themes entirely relevant today: how childhood trauma exacts a price later, complications from post-traumatic stress disorder, memory and repression, personal shame that can manifest over years, and the difficult path to self-forgiveness. 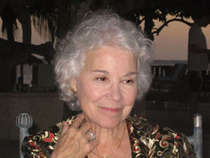 Roberta Silman is the author of several published books; a short story collection, Blood Relations, (Atlantic-Little, Brown), three novels, Boundaries (Atlantic-Little, Brown, Avon paperback), The Dream Dredger (Persea Books), Beginning The World Again, A Novel of Los Alamos (Viking), and a children’s book, Somebody Else’s Child (Frederick Warne, Dell paperback). Ms. Silman is a recipient of both a Guggenheim Fellowship and an NEA Fellowship and she has received numerous writing awards including the National Magazine Award for Fiction twice and the PEN Syndicated Fiction Prize twice. Her books have also received two Washington Irving Awards, honorable mention for the PEN Hemingway Prize and the Janet Heidinger Kafka Prize (twice). Ms. Silman's short stories have been published in magazines and anthologies here and abroad including: The New Yorker, The Atlantic, Redbook, McCall’s, Hadassah, The Virginia Quarterly Review, The American Scholar and many other magazines here and abroad. Two of her stories were read at Symphony Space, NYC and on NPR’s Selected Shorts; and several have been cited in Best American Short Stories. Her reviews and Op-Ed pieces have appeared in The New York Times, The Boston Globe, The New York Observer, The Virginia Quarterly Review and World Books PRI. Currently she is a senior contributor to the online magazine, The ArtsFuse.